The Stamina ATS Air Rower 1399 is an affordable dynamic wind resistance rowing machine that provides a solid cardio workout for those looking for a quality entry level machine. It has topped our Under $500 list for several years now, as it is a great value for what you're getting. The multi-function electronic performance monitor displays workout speed, distance, time, and the amount of calories burned. 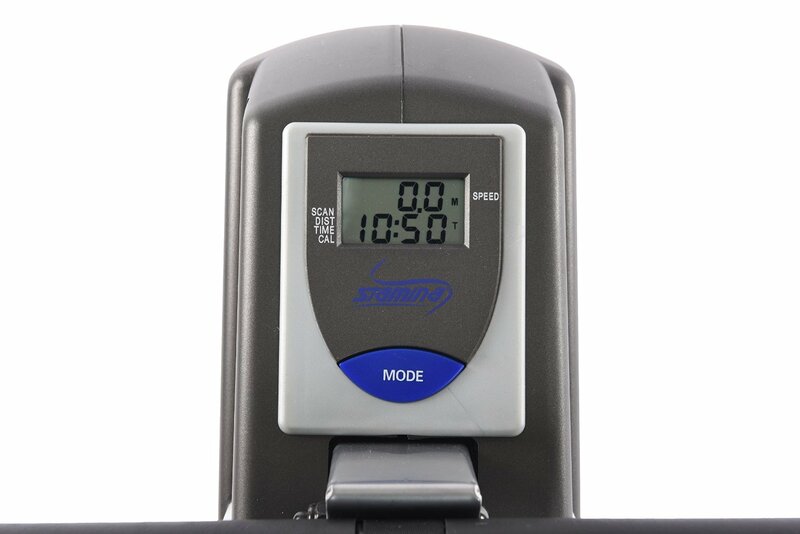 The Stamina ATS Air Rower 1099 uses an air fan to provide wind resistance for the workout. The user determines the intensity of the workout by rowing faster to make it harder, or slower to keep the workout easy. More features include an angled seat rail for an easy seat return to the start position, steel frame, large footplates with nylon straps for any size user, a nylon rowing strap, a padded seat, textured grips on the handle, and transport wheels for easy storage. Reviews have been quite favorable on this model, and it has remained one of our top picks under $500 for some time now. It has a nice mix of durable construction, comfortable motion, affordability and customer satisfaction, and as such has become one of the company's most popular models. It's a step up from the hydraulic models, but much less expensive than some of the other air and magnetic models out there, so it offers a lot of value. How Does the ATS Air Rower Compare to the Other Stamina Rowing Machines? With so many different Stamina rowing machines on the market, it can be difficult to choose the ideal one for your home. They also have very confusing names, so it's often hard to make an apples to apples comparison. When people refer to the Stamina Air Rower, they are usually referring to the model we cover on this page, i.e. the ATS Air Rower 1399. That is the most popular rowing machine that they make. 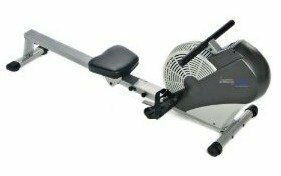 But there is also a less popular 1402, 1405 and the X Air Rower in the lineup. Let's look at how they stack up. This is the least expensive Stamina rower, at around $299 on sale. It has wind resistance, basic monitor, padded seat, pivoting footplates, foldable frame, wheels for transport and a 250 lb. max weight capacity. The 1402 costs around $349 and gives you all of the features of the Stamina Air Runner 1399 plus a more advanced computer offering additional workout metrics as well as a newer design configuration. The 1402 costs around $375 and gives you a metal chain instead of the belt that you find on the 1399 and 1402 models. Some people prefer metal for its more realistic feel, but it's noisier and requires more maintenance than a belt does. The X Air rower is the newest and priciest model at around $399 on sale, and has quickly become one of their most popular models. The footrests pivot unlike on the 1405, and they have been improved as there were many complaints about them. It's also a bit more durable with other improvements. So you can see that all of the Stamina Air Rower models are similar, you just get a little more as you move up in the lineup. Computers are a little more advanced, the pricier models have chains instead of belts and there are various design upgrades on the newer models. There are a few hydraulic and magnetic models as well as a water resistance machine, but those are completely different. You can read more about those on the main Stamina rowing machine page. The Stamina ATS Air Rower 1399 receives glowing reviews from current owners who are thankful for the low price and the durable design. According to user reviews, it is easy to assemble, holds up to steady use, is relatively quiet and very smooth. It isn’t commercial quality, of course, but for this price, it is one of the best cheap air rowers you will find. The price does vary quite a bit so we suggest you try Amazon first, as well as Wal-Mart and other discount retailers. 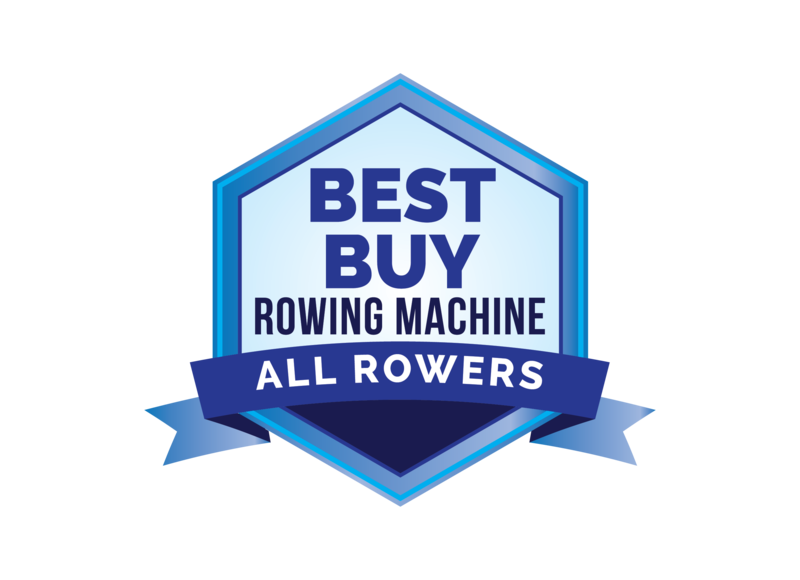 You can take a look at the more advanced Stamina Air Rowers as well, including the 1402, 1405 and newer X Air rowing machine, to see if those models have what you are looking for. All of them are quite similar, so you can't go wrong regardless of which model you choose.